Ames Boston Hotel, a luxury boutique property located in the heart of Boston’s financial district, will host a series of eco-conscious events throughout April in observance of Earth Month. 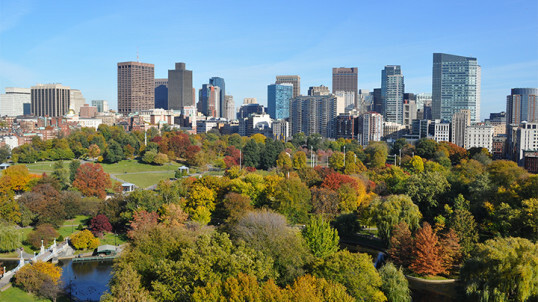 The hotel recently became one of only a few Boston hotels to receive its Green Key certification, a distinction given to hotels for meeting certain eco-friendly standards and sustainability efforts, and it will celebrate the special honor by giving local environmental organizations a platform at its “Wednesday Sips” events in April. The month of events kicked off on March 30 when Ames Boston Hotel participated in Earth Hour, an annual worldwide event that encourages companies, homeowners, and others to turn off their lights for an hour. Beginning April 3, eco-friendly organizations, such as the Charles River Watershed Association, Mass Audubon, and the Anderson Cabot Center for Ocean Life, will be present at the hotel’s “Wednesday Sips” events. Donation jars will also be available for guests to contribute to each organization’s cause. Ames Boston Hotel’s Earth Month celebration will culminate with its participation in the 20th Annual Earth Day Charles River Cleanup on April 27. The hotel will lead a team of employees, partners, and other eco-conscious Bostonians in helping clean up the Charles River, one of the city’s true environmental treasures. Guests interested in participating in the Charles River Cleanup with Ames Boston Hotel should attend one of the “Wednesday Sips” events to sign up.